Even in temporary traffic control zones, smooth-flowing vehicle and pedestrian traffic is a major challenge. Only the best can pull it off. Which is why Roadway Construction Service (RCS) consistently gets the call to provide temporary traffic control and flagging services in Los Angeles. The deployment of temporary traffic control and flagger services requires more than a trip to the project site. Service providers must consider a slew of factors, including the safety of work crews and the general public, applicable laws and ordinances, and project completion dates and budgets. The list goes on. Therefore, a reliable temporary traffic control plan (TCP) is imperative from the get go. RCS draws on unsurpassed experience and expertise to create impeccable temporary traffic control plans. Their TCPs can run the gamut, from a detailed analysis to a simple referencing of drawings and manuals. The amount of detail, of course, depends on the complexity of a particular project. But no matter how complex, RCS planners unfailingly meet the challenge. In their hands, each TCP becomes a rock solid blueprint that covers all bases and coordinates all elements. Nothing is left to chance. The result is razor-sharp preparedness, maximized efficiency, and unsurpassed job site safety. For RCS, no temporary traffic control need is too big or too small. Services can be as basic as a one-lane flagging project or as intricate as a multi-lane road closure requiring detours. For RCS, versatility is the name of the game. The one thing that doesn’t change at RCS, however, is the performance level of its crews. 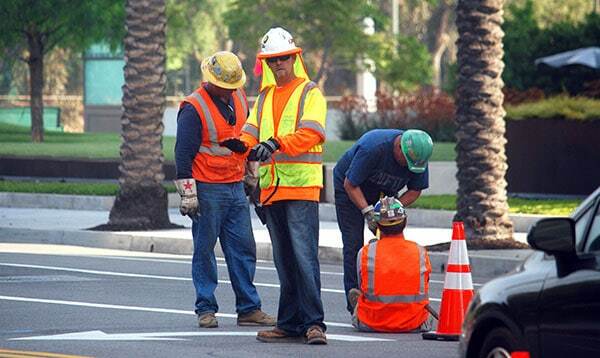 These include flaggers, pavement technicians, traffic control supervisors, and traffic control technicians. Thanks to stringent training standards and ongoing education, RCS crews consistently arrive ready, knowledgeable, and fully equipped to ensure maximum efficiency and safety. They communicate with colorful flags. (And occasional shouted warnings.) They’re the unsung heroes of RCS – the flaggers. No temporary traffic control zone would be safe without this valiant group. RCS Flaggers carry out numerous tasks including project setup, maintenance, and disassembly. They also – surprise – hold flags. Flags that direct people to do things like slow down or stop. And they have to position those flags while maintaining maximum concentration. Not exactly a cake walk. Fortunately, RCS ensures flagger reliability by holding them to a strict set of company guidelines. Flaggers also are required to satisfy stringent state requirements. Nothing is getting past them. RCS repeatedly has proven itself when a job requires the very best in temporary traffic control and flagging. If you’re interested in learning more, contact RCS for a complimentary consultation. You’ll discover why they’re the go-to service for traffic control in Los Angeles, Orange County, and all of Southern California.